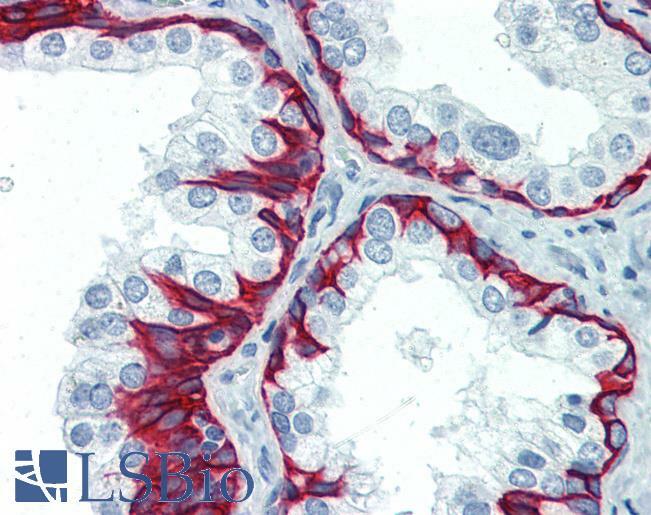 Cytokeratin 5 antibody LS-B3359 is an unconjugated rabbit polyclonal antibody to human Cytokeratin 5 (KRT5 / CK5). 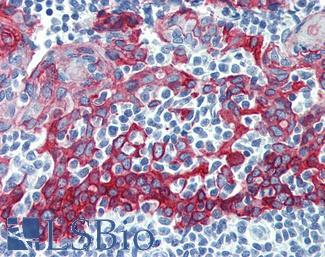 Validated for IHC. Tested on 20 paraffin-embedded human tissues. Synthetic peptide corresponding to C-terminal of human keratin 5. 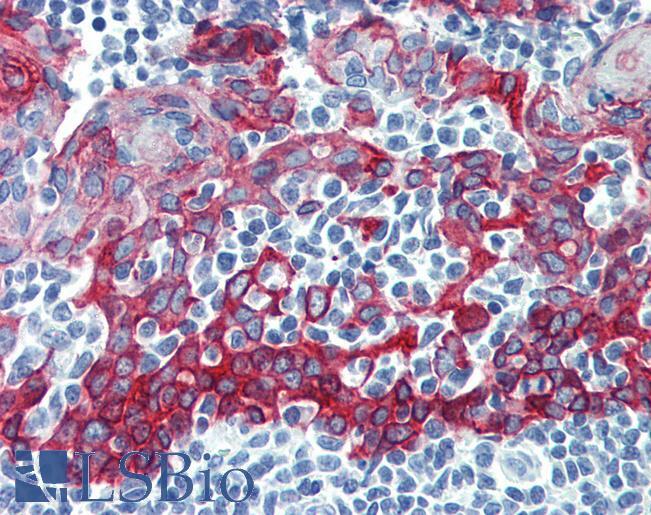 Immunohistochemistry: LS-B3359 was validated for use in immunohistochemistry on a panel of 21 formalin-fixed, paraffin-embedded (FFPE) human tissues after heat induced antigen retrieval in pH 6.0 citrate buffer. After incubation with the primary antibody, slides were incubated with biotinylated secondary antibody, followed by alkaline phosphatase-streptavidin and chromogen. The stained slides were evaluated by a pathologist to confirm staining specificity. The optimal working concentration for LS-B3359 was determined to be 10 ug/ml. 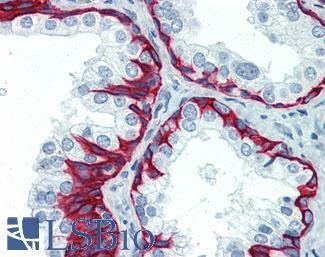 Anti-KRT5 / Cytokeratin 5 antibody IHC of human tonsil. Immunohistochemistry of formalin-fixed, paraffin-embedded tissue after heat-induced antigen retrieval. Antibody concentration 10 ug/ml. Anti-KRT5 / Cytokeratin 5 antibody IHC of human prostate. Immunohistochemistry of formalin-fixed, paraffin-embedded tissue after heat-induced antigen retrieval. Antibody concentration 10 ug/ml.